Three UEL alumni who started a games design company will soon bring their first video game to market thanks to a successful crowdfunding campaign. DinoByte Labs reached its target of £3,500 on website Kickstarter eight days before a self-imposed deadline. The plan is now to make their Midli game available before the end of the year. 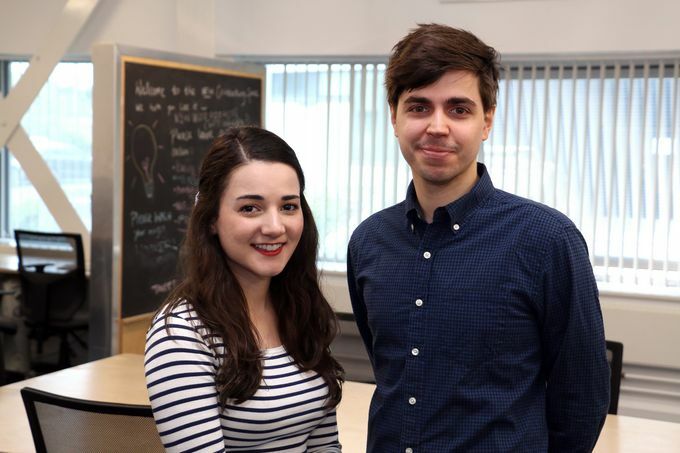 Formed in 2015, DinoByte Labs is the brainchild of Interactive Media graduate Louise Leolin and Games Design graduate Christian Lovdal. The duo has recently been joined by Fine Art graduate James Pendry. Louise explained why they chose to set up their own company after graduation. She said, “Getting a job in the games industry is tough, and sometimes the entry requirements are almost impossible to fulfil. It seems you need at least three games on the market, and that is for a junior position! Creating games requires money, and the UEL alums spent much of their first year or two after graduation doing freelance work on other people’s projects. The company’s fortunes changed when, with the help of the UEL Enterprise team, DinoByte Labs won a Haberdasher’s Award earlier this year. The trio are currently working around the clock to bring Midli, to the market. The main character of the game is Heli, a mysterious girl who guides the fates of lost spirits stuck in the land of Midli. The game deals with some difficult themes, including mental health issues, and has a dark art style. Why did DinoByte Labs go the crowdfunding approach instead of attempting to gain funding from an established games manufacturer? “Getting investors is tough,” explains Louise. “Pitching to sell your game, then ultimately having to compromise on what you are making, or needing to give away a percentage of your intellectual property, it’s a little scary. We have heard too many stories about people getting the bad end of a deal to want to go that route for now. “Crowdfunding is a great way to get the investment you need, while still giving your supporters something unique in exchange for their pledges. Louise said she was excited the company reached its target well before the deadline. She said, “We were super thrilled. We weren't expecting to reach it so early on, and now we are working towards achieving our stretch goals. The more additional funds we make, the more we can improve Midli by expanding on things like our art and soundtrack, even adding additional game content before its Autumn release. DinoByte Lab's crowdfunding campaign is open until Friday 15 September. If you would like to donate, go to their page on Kickstarter.